Thanks, I've already been there, and it's very brief. I was looking for something more detailed, describing how exactly the save file is built. 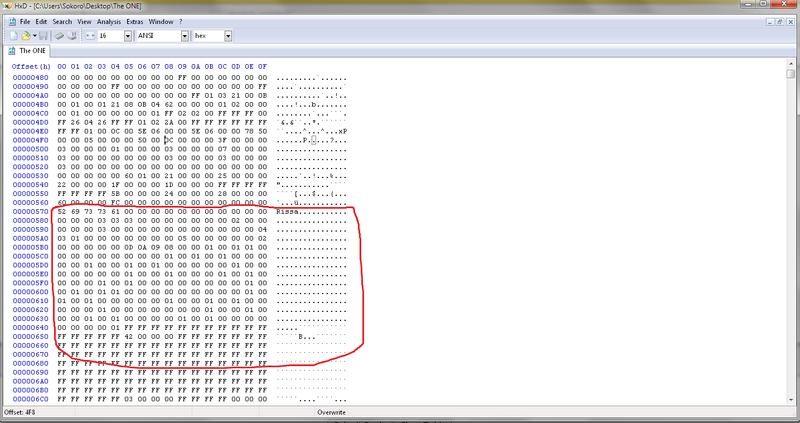 I'm new to this stuff, but still, this is a great thread, any hex editors will do right? Only this hexd data you can find I think. Hex Editor Neo is good. If you're willing to pay some money for a good editor, UltraEdit is also a nice one. 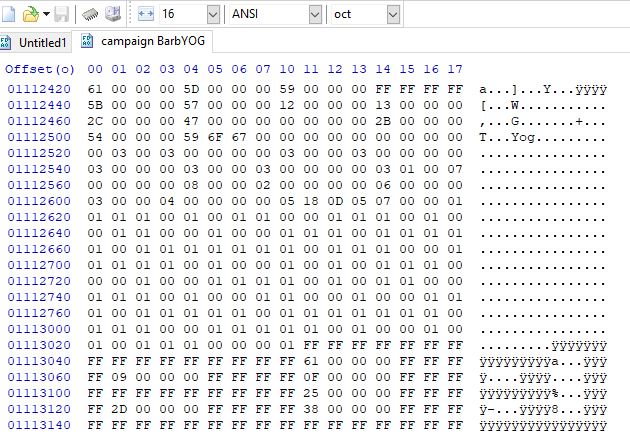 Hex Editor Neo is powerful because can load very big files. Anothers crashing if is big. But you can search in net. Its a lot free. If one cant do something you can use another. Only working link! Mirror needed! For save editing itself, there's an old Russian save editor I found not too long ago. I haven't really used it so I can't comment on its performance. Edited by Baronus at 19:53, 06 May 2017. Yea I have it but it's only russian 6yka. Fonts and language dont work when I try. If someone can and its no big work eng. version will be nice. THERES NO SAVE EDITORS FOR ORIGINAL HEROES III! SHOCK! We have for MMI, Heroes I, II ! But not for HIII! Edited by Sokoro at 19:22, 11 May 2017. I am trying to edit the save game acording to this guide, but it does not work. only once it changed some skill but only in such way so that it just removed the skill name with only "expert" being shown. I am using heroes chronicles save game. does HC have different save structure? I also got CRC error while extracting the save archive with 7-zip.. might be related? Edited by Baronus at 20:23, 11 May 2017. Maybe 03000000 03000000 etc not 030303? In exe we have 03000000. 1. Unizip dont care that error. 000003 six times next 6 skills. next I think spells. See spell table in txt file 01 is 00 not. Next ffff etc you have units and number of units. And artifacts and experience (find to compare with game). 4. After editing GZIP it! Rename gzip format to gm1. It works. You can safely ignore the CRC error message, it's inconsequential. Yes, if you hack this and make it in a 28-byte string of all 03's, the Hero will have all skills at Expert level. Edited by Sokoro at 09:33, 12 May 2017. I am using HxD hex editor. Also that 42 00 00 00 seems to imply that she should have black knights, lol, not even close. I GOT IT! that was a the wrong version of the hero, it is a campaign save! so now i found the correct actual version of the hero and the values seems to be correct! The only problem is, that when I removed Navigation skill by setting it to 00 (unlearned) and removed it from skill position in hero screen, then it got replaced by something with basic wisdom icon and "muture drake" text... which crashes the game when I view its info. Edited by Baronus at 09:44, 12 May 2017. Are you sure you test correctly save? It must be here. Gzip it and rename Rissa5skills.cg1 and try in game. If you want another skill. 3. Find place with skill you want. 5. Find place with skill slot position. Hi, I'm trying to edit my campaign save (editing out that eagle eye and scouting). Whatever program I use the right part where "rissa" is, for me it's all alien language. Am I using the wrong file? The file I'm using is my save file in GOG, which is a CGM. You need to unzip the file first. The CGM file is actually a zipped archive. If you try to edit it straight up, you indeed get garbage . After unzipping it, you should be able to make sense of it. Edited by seayeah at 13:51, 12 Apr 2018. I used 7zip to unzip it. Am I doing it right? I'm trying to edit my Yog campaign skill. He has a first aid and I'm changing it to earth magic. According to the code there should be number 28 or 27 somewhere but I can't find it anywhere. Help! Also after finish editing it how can I zip the file back to cgm?